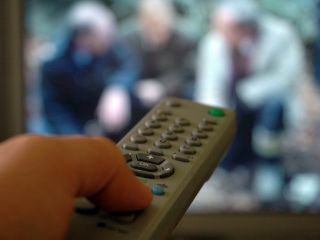 By 2012 every home in this country will be able to receive free high definition TV, thanks to proposals being outlined by government broadcast and telecoms operator Ofcom. And the news for some may be even better than that - Ofcom says it could start delivering HD channels as soon as 2009 in some parts of the country. The Ofcom proposals outlined today epresent the biggest sea change in TV broadcasting since the advent of digital television back in the 1990s. They will also boost standard definition TV channel capacity, giving us more choice about what we want to watch. Putting Ofcom's plans into practice will not only require big changes at TV makers, but will also force you to buy a new set-top box or digital TV to take advantage of the new channels. 1) The transition from analogue to digital TV broadcasting (aka the digital switchover) will yield a 20 per cent boost in capacity. 2) Broadcasters will need to make ever more efficient use of current broadcast standards. Crucially, this means moving from the MPEG-2 audio-video codec they use now over to the more efficient MPEG-4 standard. 3) Ofcom wants to adopt a new European wide transmission standard called DVB-T2, which it says will boost capacity by an extra 30 per cent. "Taken together, these advances in technology could in time more than double the capacity of DTT to enable extra television channels, including those using high definition technologies," Ofcom says. "Our proposals to upgrade Digital Terrestrial Television represent a major opportunity to build on its success with wider, richer and more varied television services, including the potential for HDTV to be made available to millions of people free to air. We look forward to hearing the views of viewers and from right across the industry." To find out more, check out Ofcom's consultation document and let your views known.